You are here: Home / LIFESTYLE / Relationships / Should You Move in With Your Partner? Shacking up. Cohabitating. Waking up to each other’s face nearly every day. Moving in with your partner is one of the biggest commitments you can make without chucking on that white dress and sashaying down the aisle to some 1980’s corny love song. You may be all super in love and sure it’s going to last forever but you shouldn’t make the decision to move in together lightly. Here are our tips to ensure you’re both ready. Paula Abdul may have made some decent dosh singing about how opposites attract but when it comes to living with your significant other you want to have a fair bit in common. Sure, it’s healthy to have separate interests and be independent of each other but if you’re a health-obsessed early sleeper and they’re a hard-partying animal who thinks beer is an acceptable breakfast meal chances are cohabiting in peace might be a struggle. If you’re still in the stage where you think that weird thing he does with his mouth when he eats is “cute” other than the most disgusting thing you’ve ever heard then perhaps it’s still too early in the piece to be living together. The honeymoon stage of your relationship is normally all sunshine and lollipops and not necessary a true reflection of how your companionship will be in the long term. Moving in means you’re going to see each other’s bad habits on display regularly. It’s best to be at the point where some of their idiosyncrasies’ annoy you but you can accept them anyway. I don’t care if your relationship is as cute as Chrissy Tiegan’s and John Legends, arguing with your partner is inevitable. But if you’re arguments involve yelling, tantrums and sulking for weeks then imagine how much fun that’s going to be in the confined space of your future flat. If you can argue fairly without name calling and resolve the arguments in a way that makes you both content then you are in a much better headspace to be living together. Finance. Are you on the same page? Money is one of those things that can be just as uncomfortable to talk about as listening to Britney sing live at a concert. Unfortunately financial issues can become a major conflict if you are your partner aren’t on the same page. There is a lot that needs to be discussed when merging expenses. Will you both be on the lease? Will you split the rent evenly? Who will pay electricity? What about groceries? Also having similar patterns when it comes to spending and saving will result in less conflict in the long-term. Not every relationship will end in a white-picket-fence, two point five kids and a family golden retriever. That could actually be what nightmares are made of for you. And that’s cool as long as your partner wants the same things as well. If you’re committing to living together then you probably should be thinking long term. If you both want different things in the future then moving in together is probably going to end in heartbreak for at least one of you. Travelling together as a couple can make or break a relationship. It’s often stressful when things go wrong. Flights get delayed. Luggage can be lost. More alcohol is consumed with less sleep than you’d normally have. It can really bring out the absolute worst in a person. But if you’ve travelled as a couple and managed to laugh together when you’re taxi dropped you off on the wrong side of the city or made the best of your time together when you missed a connecting flight chances are living together will be even less challenging. Moving in with your significant other? 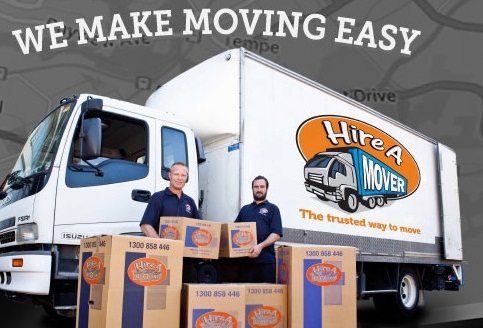 Hire A Mover has trusted removalists around Australia to ensure your move goes as smoothly as your relationship. Find out more here.